Rumored lovebirds Liza Soberano and Enrique Gil are in the City of Love, Paris with no less than the country’s other popular love team Maymay Entrata and Edward Barber. 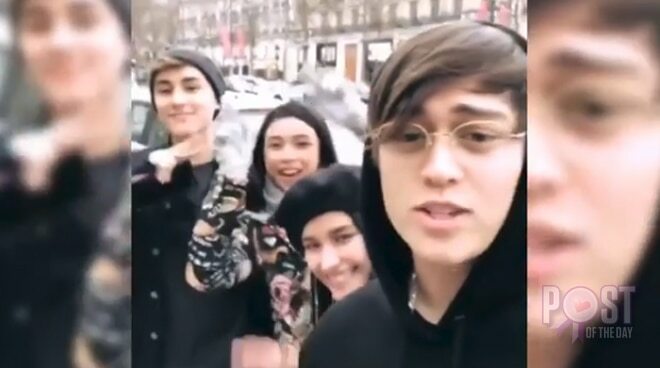 LizQuen who’s been in Europe since Christmas with their respective families snapped a few videos together with MayWard at the Avenue Des Champs-Elysees. Much to the two loveteams’ joy, Liza and Enrique shared the videos on their respective Instagram stories. Maymay and Edward recently flew to Germany for a magazine pictorial. It may be recalled that Maymay and Edward have both been very vocal about their admiration for the Bagani stars, even when they were still inside the Pinoy Big Brother house.